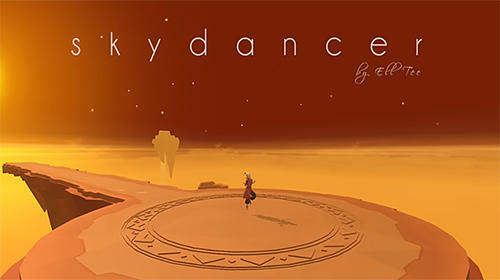 Sky Dancer is an auto running game wherein you jump off cliffs, grabbing as many coins as possible while avoiding rocks. Developed by Pine Entertainment, the game does a great job creating perspective and making you feel you’re really jumping of the edge of huge cliffs. You move right or left by tapping and pressing the side of the screen you want to go. Tap both sides of the screen to jump onto the floating rock before you. As long as you keep landing on the floating rocks, your character will be fine. These controls are simple and responsive, but timing is key. Control can be challenging while you’re in the air as the character is more sensitive even to slight taps. Landing on the next rock isn’t hard, but you need to be in the center to get a Perfect Landing. That’s the challenging part and what you need to work on. Even with the challenging nature of the Perfect Landing, Sky Dancer is easy to get into. The concept is simple enough: you just run and jump to the next platform and try to survive. Since this is a auto runner you just need to focus on landing in the right direction. Sky Dancer also has a soothing effect on the senses. While other games are filled with loud colors, here it’s the opposite as the setting is sparse and colors muted. In this case it actually works as it lets you focus on jumping and landing.